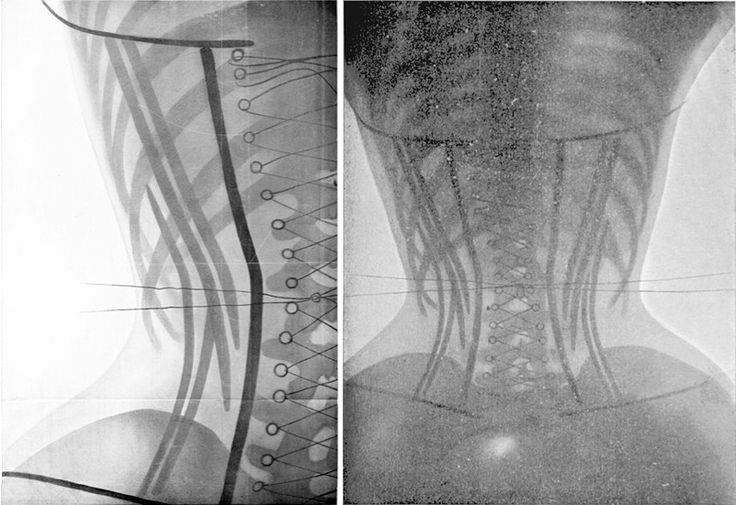 True corset training is actually one of the oldest forms of body modification. It requires a steel boned corset made from stiff fabrics that is made to fit a person’s custom measurements. Continuous wearing of such a corset, and gradual tightening over many months, eventually compresses the person’s floating ribs (thats the bottom two ribs on the ribcage) and creates a smaller waist measurement. The results can be very dramatic, but it is not a permanent change. The floating ribs will revert back if the subject spends too much time out of a corset. High quality corsets that fit properly are a must because an improper fit can cause problems to the spine and posture.The person is literally changing where things are in their body, so it is not something that should be done without lots of research and advice from health professionals. 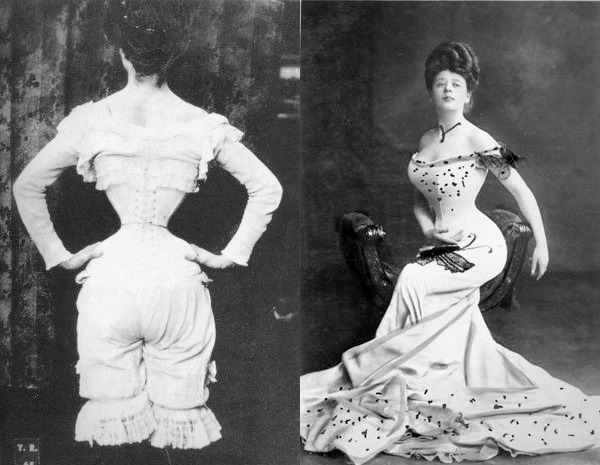 The recent fad of “waist training” has almost nothing in common with the historical form and for very obvious reasons. All you have to do is compare the corsets. The red is a steel-boned corset made for waist training in the traditional style explained above. The purple ones are the stretchy “corsets” (I will call them “shapers” for the rest of this article) that are being praised by the Kardashians and other celebrities. You can see that the real corset forces the body to change shape, while the shapers compress the fat but still follow the body’s natural line. The corset is made of metal and thick fabric, usually a stiff canvas covered with a prettier material for looks, while the shaper is made out of strong elastic which will bend when pressure is put against it. You can also see that the shapers lack the sewn channels that hold the metal bones that are very obvious on the real corset. Finally, the price. A good steel boned corset that fits well should run you anywhere between $100-$400, while the cheap shapers are being sold on Amazon for as little as $15. As with all things, you get what you pay for. These modern shapers are basically a different style of Spanx. They will help you look and feel thinner when you wear them under clothes (No shame! I wear shapers with certain cosplays and outfits!) but they will not help you lose fat or make your waist thinner. Some people claim that they lose inches from wearing these, but this is most likely due to the temporary compression that happens whenever our tissue is put under steady pressure, similar to the seam lines you get in your skin when you wear tight jeans. There is no scientific evidence that these elastic shapers have any lasting impact on the body’s shape. However, it is possible that wearing these shapers makes people more conscious of their eating habits, which can be very helpful to adjusting food intake and contributing to weight loss. In that way, they may be beneficial. The internet trend of working out in these shapers is a bad idea. They can restrict your range of motion and restrict your breathing, which increases the chance for injury and will keep you from working to your full potential during a workout. If you can’t do a movement or run a distance to the best of your ability you are not going to benefit fully from your fitness plan. There is also evidence that wearing shapers or corsets for extended periods of time regularly may have a negative impact on your core strength since the clothing is holding your weight instead of your abdominal and back muscles. Skip adding these to your gym bag. There is no magic bullet for losing weight, and while true waist training can give you a more dramatic figure, it does not change your body composition. No type of waist training directly results in fat loss. Your body fat is still there and you are not healthier for getting a smaller waist through body modification. 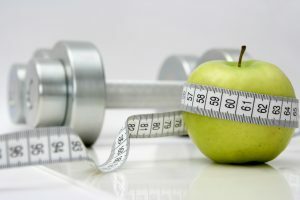 The healthiest way to get a smaller waist is through an informed combination of diet and exercise. If wearing a shaper or a corset makes you feel good about yourself, great, but make sure that you have done your due diligence and have realistic expectations. How long does it take to see results after use a waist trainer ? 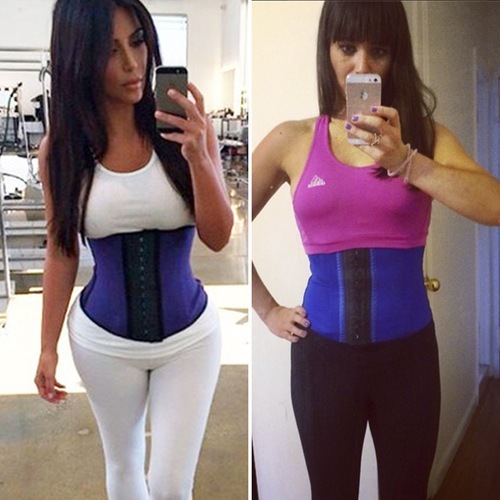 What is the best waist trainer to lose weight? You do not lose weight by using a waist trainer. It simply moves your body around. It does nothing to actually help you lose fat or get healthy. Tight clothing has no impact scientifically on where fat is on the body. Just like doing sit-ups does not burn stomach fat (it burns calories but you cannot target specific fat areas to burn) but builds up the muscles under the fat so it is more compressed and looks like there is less fat. There isn’t a way to control fat in just specific areas. You are totally right about portion control. Anything that helps us be mindful of our portions and making better food choices can be very helpful. However, having worked in fitness and personal training, I hesitate to call any results from diet change as “permanent.” Without continued good habits, it is very easy for diets to go astray. I’m glad that your clients have found success with your guidance. It is also not appropriate to call the results from waist training “permanent” without mentioning that it requires continuous maintenance and commitment to keep the small waist size that is achieved. Yes, the results can last for as long as you continue wearing the corset regularly and continue your good diet. However, it’s important for people to know that if they stop wearing their trainer, or as you say, they pig out on Krispy Kreme (mmm… Krispy Kreme) the results don’t last. Unlike other forms of body modification (tattoos, piercings, etc) waist training, and really all fitness, requires upkeep. 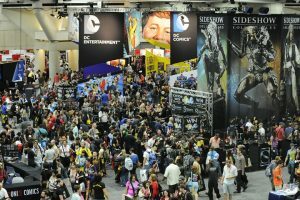 Thanks for reading and for sharing your experiences!